NEW YORK -- There are 311 days until Christmas, so there is plenty of time for a new toy to become the must-have gift of the year. Right now in Manhattan, there's a toy fair showing off the new kids on the block. 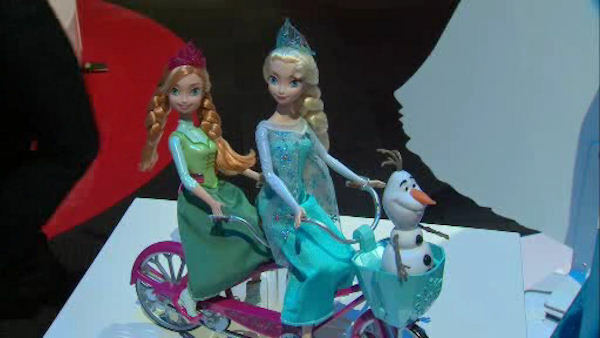 Retailers showed off their new toy innovations at Toy Fair 2015 at the Jacob Javits Center in New York City. Faux snow that grows in your hand, a new age skateboard, and Star Wars stuff to go with the movie coming out, welcome to Toy Fair 2015, where insiders go to show off or envy the competition. First, a GPS smart dino called a "Miposaur", each one runs $120. "These are robot dinosaurs, they follow GPS to get around, this is the ball they all react to," said David Malacrida, of "Miposaur" from WowWee. Fun right? Then there is something to ride! Jump on the IO Hawk. "When you do nothing it stays still, lean to make it go with your feet," said Alex Afandi, of "IO Hawk". The IO Hawk runs $1,800. It plugs in and charges in three hours like a laptop. "Put water, and it grows!" said Brian, of "Insta-Snow". One small bucket makes three gallons worth for $10, and you can re-use it. "It's absorbed, by this, like a sponge. This is a polymer which then turns cold in your hand," Brian said. 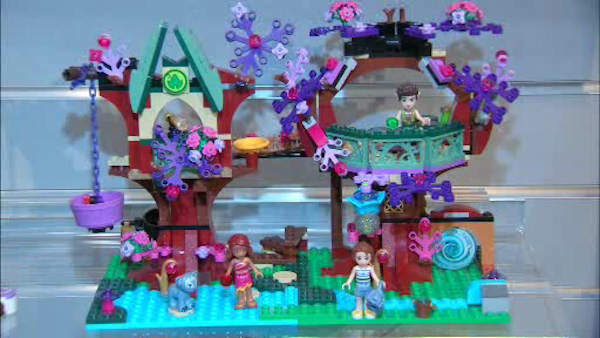 From Lego, there's a new fantasy world about a girl who needs elves' help to get back home, and these technic toys, which will cost around $50. Finally, what happens when Mattel and Google have a baby? This one is so new they only had cardboard models to try. It is the new version of the ViewMaster we flipped over as kids. It is 3D, panoramic, interactive, and educational, and costs about $30. "Star Wars, huge, December 18th the force awakens baby!" said Michael Hartson, of Mattel. There is everything from cars based on the characters, to a storage death star. Most of the toys featured come out in August.